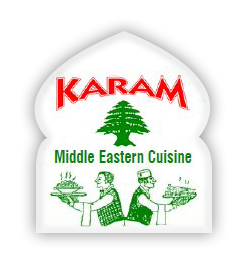 Online ordering menu for Karam. Anytime you are in Brooklyn, NY, there is one place to go for the best and most authentic Middle Eastern Lebanese cuisines in the area! Our menu includes all your favorites as Chicken Shawarma, Vegetarian Sandwiches, Shish Kebab Combo plates and more. We are located just west of I-278 off 86th St and 4th Ave. We are just 5 minutes from Dyker Beach Golf Course. Order online today for carryout or delivery!